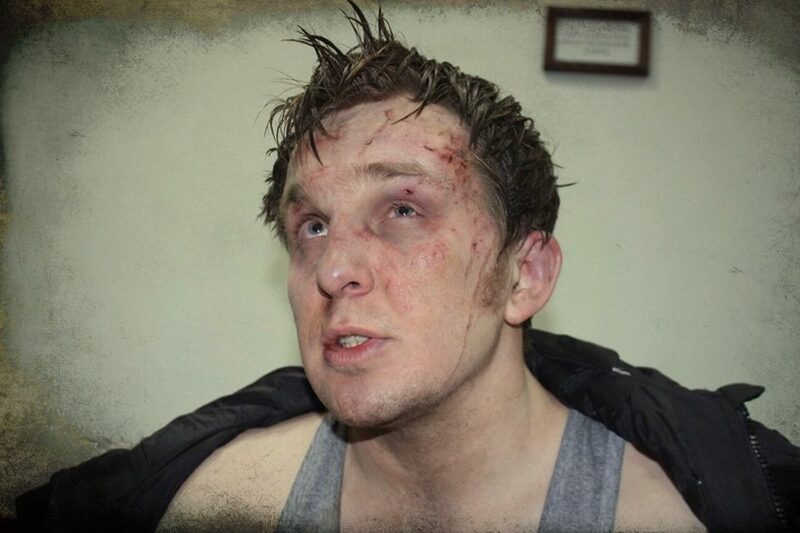 The Ukraine Solidarity Campaign condemns without reservation the series of vicious attacks on trade union activists that have taken place in Ukraine. On March 25th Oleh Vernik, leader of the independent trade union “Defence of Labour” was attacked by a group of unknown assailants. He remains in hospital. On Tuesday 31st March Vitality Dudin a well-known trade union solicitor was badly beaten by ten men believed to be from the ultra-right. In February another left-wing trade unionist Zhenya Derkach in Dnipropetrovsk with a history of activity in KVPU and an activist of the independent union Defence of Labour was also brutally beaten. Both Oleh and Vitaliy are members of the Organising Committee to establish a new left party in Ukraine, both well-known activists of the labour movement. On 29th March Vitaliy was in a meeting with Wayne Thomas a leader of the National Union of Mineworkers and Mick Antoniw a Labour member of the National Assembly of Wales, discussing international solidarity. The Ukraine Solidarity Campaign demands justice for Oleh, Vitaliy and Zhenya and an end to this targeting of activists in Ukraine. The Government of Ukraine is a signatory to the European Convention on Human Rights, and is obliged under Article 11 to protect the right to freedom of assembly and association, including the freedom of trade unions, we call for solidarity to make this to be a reality not words. Next Ukrainian leftists from west and east unite in condemnation of the politics of hate?